No one knows how to design a kitchen like a chef. Successful chefs ensure that their kitchens are designed to complement the needs of both the food and the people preparing it. In the process of applying our expertise in commercial refrigeration to serve the needs of the home chef, we studied professional chefs, noting the way that they move through their kitchens and how they use their cold storage. While each commercial kitchen differs depending on its objectives (consider the different needs of a kitchen in an Italian restaurant versus a sushi bar), what doesn’t change is that a refrigerator’s value is tied directly to its ability to serve the specific movements and storage needs of the professional chef. So we design our residential refrigerators to serve the specific movements and storage needs of the home chef. True kitchens are people-centric, for those who know what they want in a kitchen and are willing to design around those wants. So whether you want an independent coffee bar, juicing station, or salad prep area, our line of 15” and 24” Undercounter Refrigerators and Undercounter Refrigerator Drawers serve those functions. 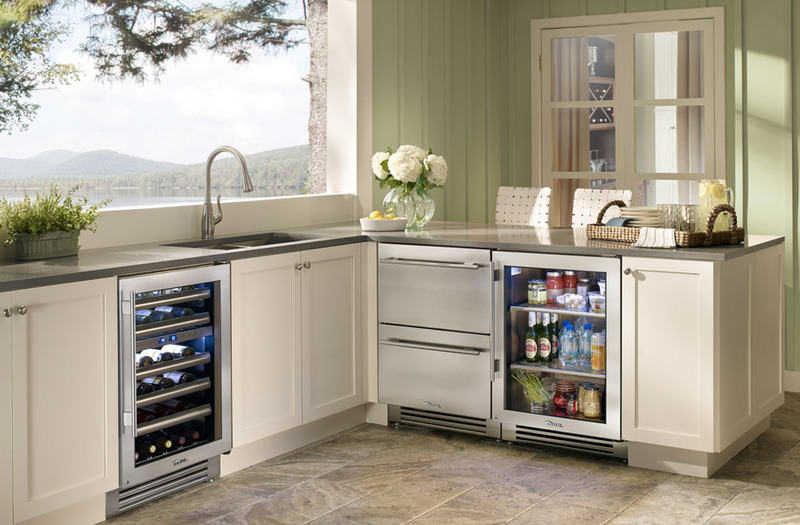 Perhaps you want to give the kids their own drink storage out of the way of the main kitchen traffic—a Beverage Center can make that happen. The increasing trend toward completely customized kitchens is, at its core, a trend toward better organizing our lives. That’s a trend that will only grow, and it’s why we’ve designed a True refrigerator for everything (and everything in its place). To get inspiration on organizing your kitchen, see some existing True kitchens or, better yet, visit us a TA Appliances!